With Tree Plotter we engage the public to plot private yard trees on our map, view public trees, and take self-guided tree walks. This enables us to better understand the composition of our urban forest and associated ecosystem benefits calculations. Not to mention, people will learn about the trees around them and hopefully become more informed about trees and advocate for planting and proper care. Tree Plotter also allows us to track our organization's tree planting and tree care activities on a digital map, for the first time! We also engage volunteers to survey trees in several programs, providing regular data on the status and needed care for young urban trees. Our organization needed a platform to 1) engage the public in plotting trees, and 2)help us manage our programs better. 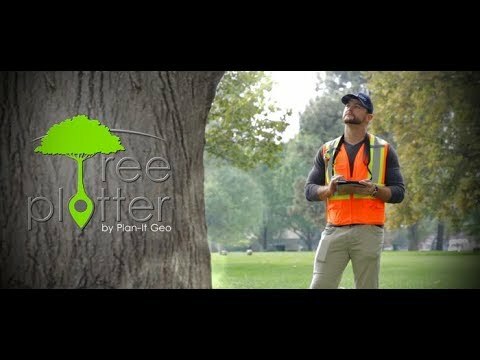 We reviewed several tree mapping software programs/providers, and chose to subscribe to Plan-it Geo's Tree Plotter system because we felt that the team and products would best suit our needs for the present and near future. The customer service is fast and attentive, with a skilled team that works with us to craft a custom map that we can use effectively. The software is user-friendly and highly customizable, which helps us create a tool that does what we want and looks how we want it to look. They also have several add-on tools that you can purchase when you have funding, or leave out if you don't need it. Being able to pay for what you need and not what you don't was a nice model for us. The customizing process was very well handled by the Plan-It Geo staff. They asked lots of questions and made quick changes and updates as Forestry staff began to use the software and found things they didn't like or wanted in another place in the database. As Forestry staff have continued to evolve the database whenever they needed assistance with Tree Plotter by either sending an email or by using the in app support responses were quick.Completely customizable to include whatever information you want to collect. Scalable to your needs: Tree Plotter can be a simple, basic tree inventory database or by adding desired modules it can become a full fledged work management system. Or you can do appraisals or risk assessments. Its up to your needs and budget. Information can be exported for use in ArcGIS. Some lists you can edit yourself such as adding tree species, there by speeding up adding new trees to your inventory and not needing to send a support ticket to have a tree name added. Completely customizable to include whatever information you want to collect. Scalable to your needs: Tree Plotter can be a simple, basic tree inventory database or by adding desired modules it can become a full fledged work management system. Or you can do appraisals or risk assessments. Its up to your needs and budget. Information can be exported for use in ArcGIS. Some lists you can edit yourself such as adding tree species, there by speeding up adding new trees to your inventory and not needing to send a support ticket to have a tree name added. By fully customizing and scaling the software up with modules it can take a little while to understand where different parts of your data is located and how to use the filters to find what you want. Cellular and Wi-Fi connections or having a very large database can slow down the process of adding data. However Tree Plotter does have work around for this such as off line data. The simplistic user interface makes it easy to learn and use, but having the data input window scroll and reset each time a data field is entered takes time to scroll back to the next data field to enter and is frustrating. The background aerial photos work well, but we want to be able to zoom to smaller scale in the Google Earth Map than the overall Tree Plotter subscription for the aerials allows. We usually download the shp files and make our own ArcGIS maps so we can input our company title block and needed labeling, and to allow for setting the print scale to not have overlapping points. We continue to use and expand our use of Tree Plotter, and continue to provide useful feedback and revision ideas to Plan It Geo staff for improving the program. Thanks for working with us for a better shared environment.Operates well in any mobile device we have used from tablets and handheld data recorders to phones. The real time and multi user environment allows us to both monitor our staff in the field and also for everyone to work cooperatively in completing inventories and damage assessments. We use Tree Plotter for full landscape inventories and contractor work audits, as well as tree surveys and tree inventories. This has been incredibly helpful for our data collection methods, which were previously collected on paper then inputted in to the computer. It has streamlined this process to a great extent!Efficient data collection. Ease of use. Data compilation to show summary. Sorting capabilities. Have had some glitches, including data incorrectly calculating. Difficulty to attach photos in the field (however that may be a problem with our connection..) Would like to have parcel information available - click for property owner info would be helpful. Q. Does Tree Plotter offer an API? Yes, Tree Plotter has an API available for use.